The advent of the internet has ushered in an open season on copyright infringement with regards to photographs. Website owners find it all too easy to take photos online and place them on their websites. Therefore, professional photographers need to understand the legal ramifications of copyright law for photographers. Prior to April 1989, any original work created privately was not copyrighted unless it clearly had a copyright notice such as the © symbol, digital watermark, or any other sort of notice identifying the work as copyrighted material. This changed on April 1, 1989 after the enactment of the Berne copyright law. Since then, original work, including photographs, is automatically protected from copyright violation, and use of such work is prohibited unless permission is granted by its creator. This made copyright for photographers much, much simpler. While it is not necessary for photographers to file any paperwork for their work to be copyrighted, it may not be a bad idea to do so. Having your work copyrighted can get you compensatory and punitive damages in the event of infringement. 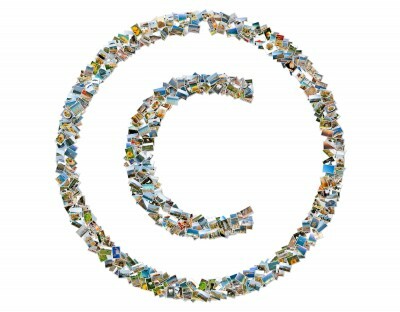 In the Unites States, photography copyrights can be registered with the U.S. Copyright Office. Forms can be found at their website, which explains in greater detail how to copyright photographs. The registration will depend upon whether or not your photos have been published; unpublished work is granted the strongest protection and can easily be filed, published work, on the other hand, requires somewhat of a longer process and will depend on the date of publication. Filing paperwork for published work falls into 4 categories; photographs that have been published within the last 90 days, work published after 1989, work published prior to 1989 but after 1978, and lastly, work that was published before 1978. The laws governing photography copyright filing will depend on the category that your published work falls into. Since copyright law for photographers may seem daunting, and copyright notices are not necessary for your photos to be copyrighted, it is a good idea to place some sort of notice on your pictures in order to, at least, deter theft. Watermarking your photos, for instance, is important in that it lets people know that the photographs are not to be used unless permission or license is granted by you personally. Unlike professional publishers who know not to use another photographer's work and are happy to pay for it, a lot of times, people simply are not aware that they are infringing on copyright and end up plastering your work on their websites. A watermarked photo will not only let potential unauthorized users know that it's prohibited, but in the event they do, their readers will know who the rightful owner of the photographs is. Part of being a professional photographer is running a business. Many photographers admit that the photography part of the business only accounts for a percentage of all that's involved, a lot of the time is spent on other facets of the business such the administrative, sales, and management aspects. Part of that time should be spent on finding out and understanding how to protect your work.